Many people make comparison between teaching and being at war. Being a classroom teacher is compared to being in the trenches. Teachers are referred to as soldiers and warriors. Some days it sure feels like it. This week sure felt like it. This week many of my co-workers deserve medals of honor. 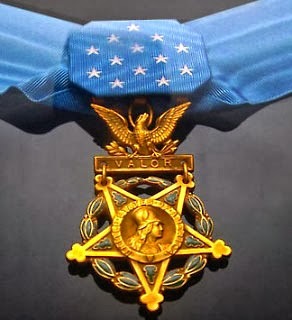 Many of them deserve accolades such as those given to warriors doing heroic things in defense of our country. In many ways, what I witnessed my fellow teachers doing this week for our students was just as heroic. The hugs, the comfort, the kind words, all were serving our students as we moved through an extremely difficult week. I witnessed teachers continue to teach and challenge our students despite distraction and tears. I saw the exhaustion and the grief and the hurt in their eyes, but when they interacted with students you would never know. They opened their ears and their hearts to students trying to make sense of their grief. They sacrificed their time, energy, and even money to our school and community. The went beyond the call of duty. They deserve medals and awards and recognition, but they wouldn’t accept them. Perhaps, that is what makes them more amazing, they do this for the kids. They do it because they are called to be there. They do i,t not for the money, for the security, the summers off, or even because they couldn’t get a job doing anything else. They do it because they care immensely for our students. This isn’t a post in defense of teaching or to say that we work harder than any other job. This isn’t a post to rant about legislation or politicians who slam our profession. This is a post about some amazing people who work in the background of the lives of young people. People who hold drowning students so they can breath and have life. This is about teachers, counselors, administrators, paras, and all those that work in schools that strive to be life lines to students who might not have anyone else. If you have had a teacher like that, thank them. They really need it, but will probably never ask for it. Goodness, they are probably busy processing decision making with another student.